Vinita Dubey Pande: You Can Lose Someone in a Hurry! You Can Lose Someone in a Hurry! Bam! You are just hit with words that hurt you. What happened? Head is numb, heart is bleeding. Something terribly misfired. You meant Love, you got annoyance. You are in pain, the other person is upset. But your intention was to do something so loving for the other person, with so much care and attention. Yet the other person doesn't understand, not interested in what you have done. You beg forgiveness, the other person is insensitive, the blame game, the judgement, the soap opera. Sound familiar? Why are you hurt? What in you is hurt? The cause of anger and hurt is desire. Love seeks love in return. Anger in return is like poison. Expectation of love in return brings pain. Anger comes when love falls short, when you dislike something. We all want love, and that desire for compassionate love in return sometimes disappoints. The more you love a person, the more your heart becomes open and vulnerable. We all want love, yet we are not always ready to accept love as it comes. Interestingly, we can only express as much love as much as the other person expresses. If you express more, they may not be able to digest, or understand why. There can be love mismatch, in the type and quality of love. Finally, you will end up feeling disconnected. Is our giving of love unconditional? Is it compassionate? Is it dispassionate? If you receive a slap in return for your love, would you be able to absorb it with compassion and dispassion? If love is dispassionate it would give, and take the response of anger in return without getting absorbed as pain. It would keep you balanced, centered and use your wisdom to understand and then respond with calm or remain quiet. 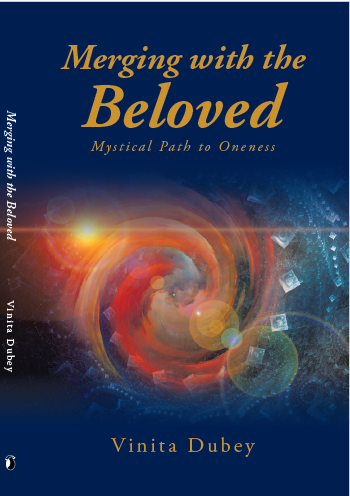 So analyze your desire for love, which is masked and camouflaged in your loving. The one, who has found that love is within, I am love, will never desire for love from anyone else. When someone is under the influence of alcohol, or angry, upset, they may say harsh words that hurt you, but it’s good, at least now you know what they think about you. There can be a difference between what they say/don't say and what they think. And yet again, they may sometimes be acerbic but be a gem of a person at heart. Then you wonder, is the negative side the real person, or is the positive side the real person? Take both, accept the whole person, that is love. The ultimate truth is even further beyond. There is yet another final core, that is their Being, which is only Truth. Truth is love. Sometimes we make mistakes and say harsh words when we have the nature to move at a 100 miles/hr. We can lose someone in a hurry. Slow down! Be conscious and aware. When we say harsh words, or upset someone: a) we may not recognize it, and therefore not be apologetic; or b) realize, but still not be sorry, rather forgive the other person for their fault, or want to quickly cover it up, trivialize it, avoid it, ignore it, change the topic, act normal and return to superficial love and sweetness. Then you have missed a momentous opportunity to evolve! So face it, reflect. You have the choice to learn the lesson now or postpone it, repeat the mistake and bear the misery. Reconciliation comes when both are reflective and ask for genuine forgiveness, and work on their relationship.